Need gas repair services in NJ? 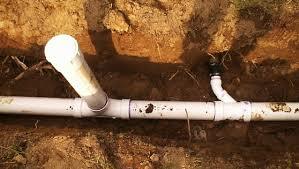 Call us any time at A1 Sewer & Drain Services for fast, reliable gas line repair and replacement, at 201-645-0888. Natural gas is an efficient, cost-effective solution for powering furnaces, stoves, and other home appliances. Under normal circumstances, natural gas is safely contained inside the supply line. If your gas line leaks, you’ll need gas repair services almost immediately. Natural gas, which is primarily composed of methane and other alkanes, is highly volatile and flammable. It’s also quite toxic to humans, partly due to carbon monoxide. Natural gas line repair simply isn’t something that homeowners should try to handle on their own. 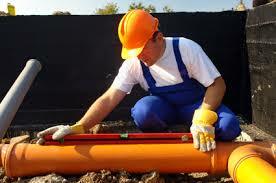 At A1 Sewer & Drain Services, we’re always available for fast, responsive 24-hour emergency gas line repair in north NJ. You can call us any time, any day, for immediate repairs in under 45 minutes from the time of your call. 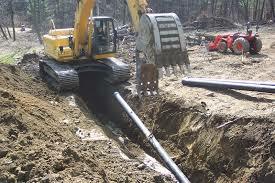 For natural gas line repair service or sewer repair services today, call now at 201-645-0888. Broken plumbing pipes can cause significant water damage to your home, and sewer backups can be mildly hazardous due to the presence of bacteria, but these risks pale in comparison to the safety risks of a ruptured natural gas line. Natural gas is used as a common home energy source for a reason: it’s volatile. In domestic usages like stoves and furnaces, natural gas can generate temperatures in excess of 2000 degrees Fahrenheit, making it a powerful tool. However, with that power come the risks associated with gas leaks. Every year, a few explosions occur due to natural gas leaks in poorly ventilated areas. In most cases, these disasters affect an individual home or building, where a gas leak has allowed natural gas to accumulate inside. The explosion is generally powerful enough to create significant damage to the building, while leaving it standing. Minor to moderate injuries are common, although a few explosions can be deadly. In March 2014, for instance, a massive natural gas explosion occurred in two buildings in East Harlem in NYC. Eight people died, and more than 70 people sustained injuries. In 2012, a gas leak in Springfield, Massachusetts, damaged over 40 buildings in the immediate area. While carbon monoxide is not an active or primary component of natural gas, it is present in significant quantities, creating a risk of carbon monoxide poisoning. Natural gas contains about 40 pounds of CO per billion BTU (British Thermal Units). Although carbon monoxide deaths due to natural gas leaks are rare, the risk is still very real. Despite being colorless, odorless, and tasteless, carbon monoxide is extremely toxic. Inside the body, it combines with hemoglobin in the blood to form carboxyhemoglobin, which takes up the space where hemoglobin would normally carry oxygen. This prevents oxygen from being transported through the body, damaging tissues and eventually causing death or brain damage. Carbon monoxide concentrations as low as 667 PPM can cause toxicity in humans, and if 50% of the blood’s hemoglobin is converted into carboxyhemoglobin, it can lead to seizures, coma, and eventual death. A rotten egg smell. Mercaptan is a foul-smelling but completely harmless chemical compound that natural gas companies add to the gas, which is odorless on its own. Mercaptan is incredibly odorous in minute concentrations, making it well suited for helping humans detect natural gas leaks. An open flame. This is a worst case scenario, but if natural gas is leaking from a gas supply line or an appliance, a spark or pilot light could cause the gas to ignite. Dead or discolored grass and plants above your natural gas line. Many homeowners don’t know where exactly their natural gas supply line is buried, but if gas is leaking underground, you may notice that the plant above it are dying. You can keep yourself and your family safe by installing a carbon monoxide alarm, which will generally detect the presence of natural gas due to its CO content. When you need natural gas line repair, you need it now, not later. At A1 Sewer & Drain Services, we’re available 24/7 for sewer, drain, and gas leak emergencies. If you smell gas, turn off the gas main and call a gas repair contractor immediately! You can call us any time at 201-645-0888 for emergency service.